Many companies understand the importance of keeping their employees active and know that healthy workers are the key to increased productivity. 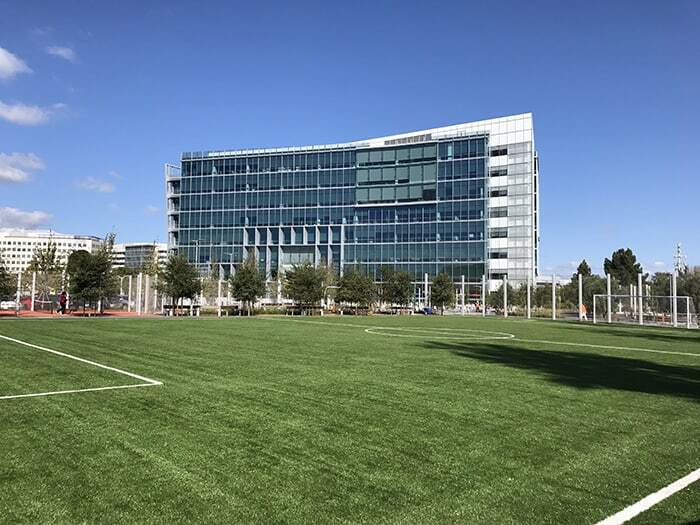 That’s just one reason Google teamed up with Artificial Grass Pros to install a massive sports and recreation field for employees only. 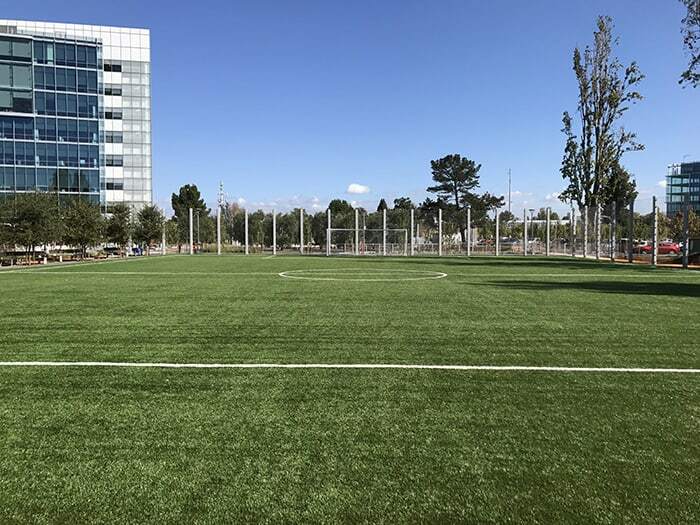 Not only will Google be gaining a new artificial grass field for soccer and other recreational sports, but they’ll also gain all the benefits that Artificial grass provides like easy, low cost maintenance, minimum environmental impact, and also, no sports damage. Artificial Grass Pros’ innovative, eco-friendly construction design fit right in with Google’s commitment to their values. The 28,000-square foot artificial grass field utilizes our all-natural geo-fill coconut husk, instead of rubber. There are multiple environmental issues tied to using rubber, such as its high concentration of pollutants. Items like sulfates, ammonia and nitrogen compounds lead to damaging nearby water systems and poison local animals. By utilizing Artificial Grass Pro’s eco-friendly NewGrass geo-fill, the sports field is able to stay cooler by absorbing moisture from the air. 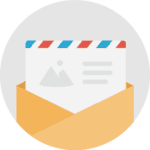 We have multiple NewGrass products to choose from like our Premium Natural, Native Lush, Ultra Soft, and Summer Fresh grasses. Not only are our grasses better for the environment, but Google won’t have to worry about hiring a lawn maintenance crew for its upkeep. Some companies spend thousands and thousands of dollars each month on lawn maintenance, but with our turf, there is no need for mowing, weed-eating, or fertilizing. In addition, switching to an artificial grass field, they now have the perfect worry-free environment! Google was pleased to find we could complete the total install in just six-days. We began by removing the existing grass, along with four inches of soil. Next, we leveled the field and added a layer of compacted rock, which supports the turf, once applied. After the base of rocks was added, a second layer of fine rock was laid down, smoothed and sculpted. This made the ground ready for synthetic grass. Then we rolled out the new grass, and set it into place. After installing and trimming, it was time for a spruce. Our dedicated installers used a broom to stand the blades of grass up, giving it a natural look. Along with the massive field, we also installed a 200-square foot soccer pool too. Soccer Pool is a new hybrid game; mixture of soccer and billiards. Our artificial grass worked perfectly for creating an oversized pool table on the ground. Players use their feet, instead of pool sticks, and soccer balls, instead of pool balls to play the game. One of the best things about an artificial grass field is that Google won’t have to worry about it being damaged after a rainy day or a rough and tumble game of soccer. They also don’t have to worry about mud being tracked into the office, either. Artificial grass is free of pesky insects, muddy spots, or grass stains, and will last about fifteen to twenty years without the normal headaches associated with typical lawn care. At Artificial Grass Pros, we have the answer to all your artificial turf needs. Whether you need a large soccer/recreation field like Google, a putting green, or you are just tired of your weekly lawn care and want artificial grass installed at your home, Artificial Grass Pros is ready to elevate your business or lifestyle with our eco-friendly, low maintenance artificial grass!